Playa del Postiguet, Alicante, Spain. June 2, 2015.
that he'll appreciate a lot. with tourists intent on sunbathing during the day and with loving couples at night. dress: sensual but at the same time very elegant. elegant outfits: with a small handbag you'll be always perfects and impeccables. The same about the jewelry: minimal and refined and always shiny. 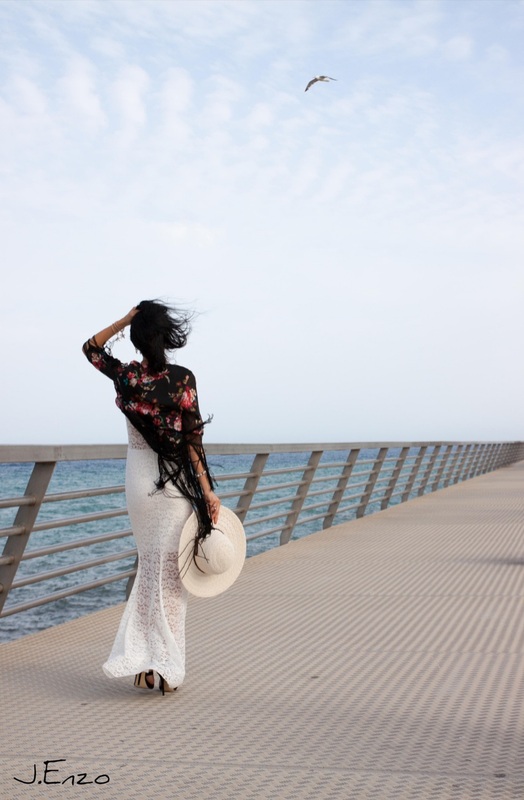 For this occasion, as I was on the beach, I couldn't forget a glam white big hat by the vintage touch. Thank you so much Sarah!!! !